How To Speak Essex was originally printed in a small limited edition by the Essex Record Office in June 2009. It was an unexpected press sensation, spawning articles in the UK dailies such as the Telegraph and the Daily Mail, but the news even raised eyebrows in India! For this reason, we have decided to make the CD more widely available with this new edition. 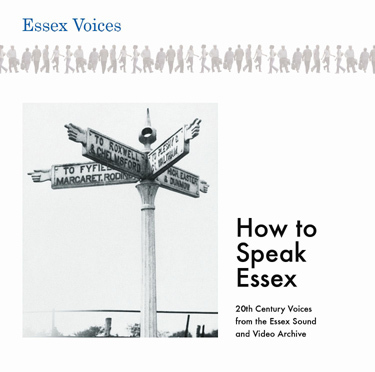 How To Speak Essex is now available and you can order from us below. We also have a new website at www.essexdialect.co.uk that relates to not just this fascinating CD but to Essex Dialect generally. Check here for further news about the Essex Voices series.